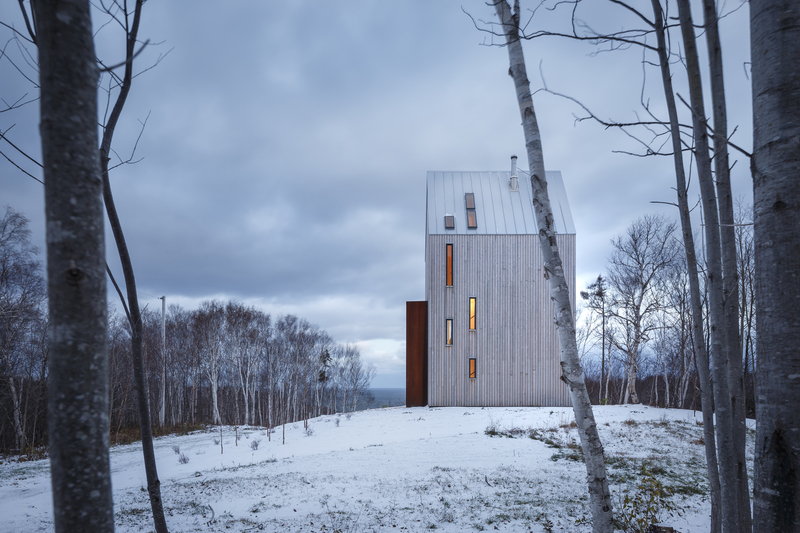 The first word that comes to mind in seeing this house is “lantern.” Maybe because of the warm glow amongst the dramatic skies of northern Nova Scotia, but also because of its vertically stretched proportions making it appears it has been set, gingerly, down on the land. It catches the eye and marks a place without needing to invade or dominate the landscape. 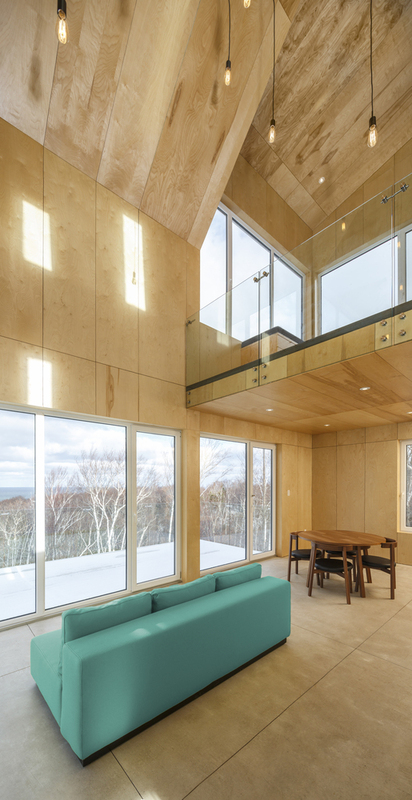 Surrounded by woods and with views of the Gulf of Saint Lawrence, the board pattern that adorns its face matches the trees that encompass it in both colour and thinness. 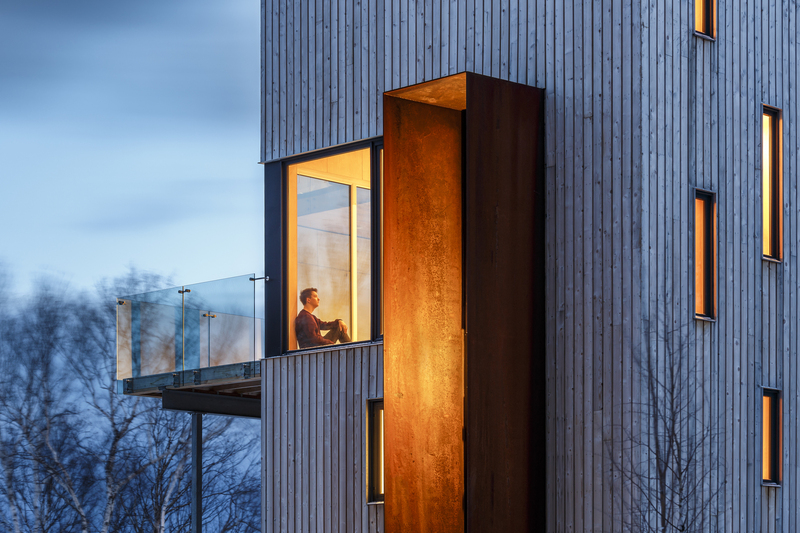 I love the updated interpretation of the traditional east-Canadian windbreak, rendered in heavy, rusting, steel that marries well with the marbled patina of the wood slats. 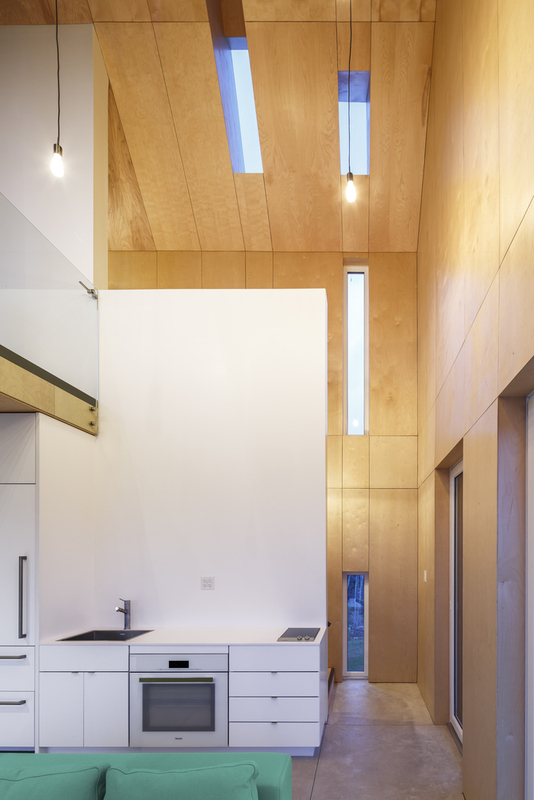 Inside, all that height is put to good use, with walls and a mezzanine becoming like freestanding objects within the lantern. 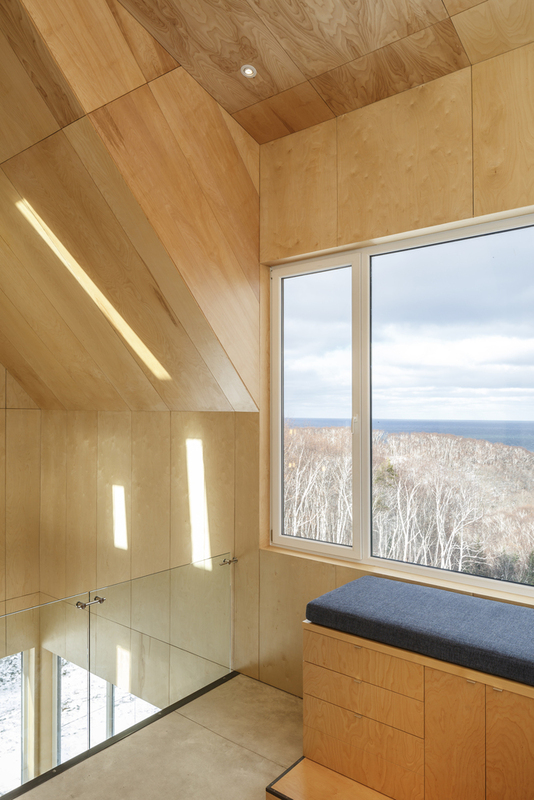 The narrow strips of window and skylights casting a playful air throughout the space, balancing the large windows that let the view flow out towards the water on the other. 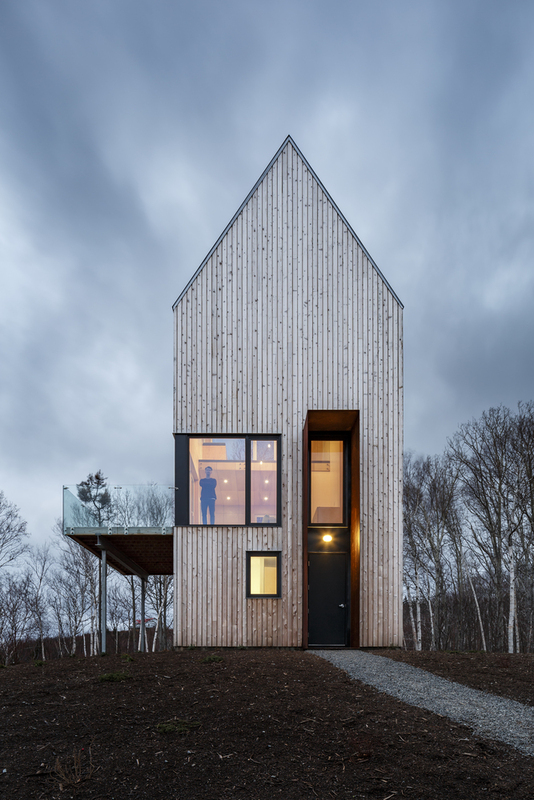 Well proportioned, embracing vernacular architecture, and ensuring a light touch that nonetheless creates something special and a joy to be in. My biggest add or alternate would have been to add a hearth. Overall, a wonderful cabin retreat.